I do, but I've been refraining from posting them on here to avoid the obvious stream of shite that would flow my way. Only a few of the people on here have a link to them. Here's the one I did for DP back in November though. 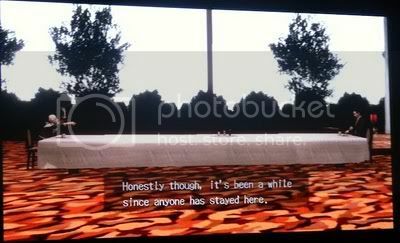 When news started spreading of the cult game that is “Deadly Premonition”, I found myself wondering if all the things I had heard about it was true. Ranging from “Worst game ever” to “10/10″ it was apparent that this was the marmite of survival horrors. The minute I received my copy I stuck it in the Xbox and began what is now my worst experience as a gamer ever. The game is a mix between Resident Evil 4′s controls and movement, and the free-roaming of a GTA game. The only problem with this are that it’s more like Resident Evil 4 if Leon had his face caved in with a shovel, and Liberty City had been nuked and all that was left was a mishmash of disfigured characters and empty space. The game looks and handles awfully, to say the least. 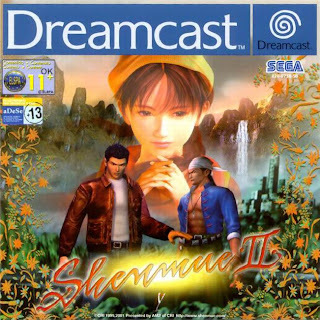 It looks at best like a BETA of an old Dreamcast game; from the terrible animations and clippy, monotone graphics to the appalling voice acting and dreadful glitches. You can bet that if a character is talking, their lips will never move in time. Speaking of characters talking, any acceptable dialogue in this game (there’s not much, trust me) is drown out by random bouts of unfitting music. At one point I was sat opposite an old woman at the end of a 20-foot long table as she shouted bad dialogue at me, all the while a cheerful whistle played over her. I assume she was talking about something grim, but even now I’m not sure. In the game you play as Agent York, an FBI agent sent to a remote town to investigate the murder of a woman. The story sounds simple enough but is executed so badly. You spent a large amount of the time talking to your imaginary friend “Zach”. You have conversations about the crime, old 80s films, and everything in between with him. This would be fine filler, if he was actually a person who could reply. Nothing at all in my experience as a gamer is as dull and pointless as driving a disturbingly bad-handling car to a destination 8000m away whilst your character talks to himself about “Ferris Bueller’s Day Off”. The majority of the game is spent doing stuff like I’ve mentioned. Poorly wrote cutscenes, awful driving sections through empty countryside and horrendous investigation sections in which you character talks to himself for 30 minutes (real-time) about something you’ve just witnessed with your own eyes. However, at interventions throughout all this you will be given actual action parts to play through. Whilst they’re not exactly on par with your “Resident Evils” or your “Silent Hills”, they are the saving grace of the game. 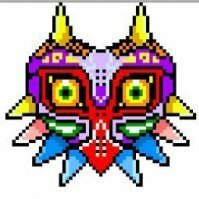 They don’t handle too bad, the enemies are comical yet strangely creepy in the way they move and it’s in these sections that you feel like this game could have been so much more. Don’t get me wrong, this isn’t comparable with your top of the range survival horrors, but they work. There are odd parts of the process still, such as the poor quicktime events and the way a wooden box takes 5 shots to break but this could be nit-picking. I really wanted to like this game, not only because they were nice enough to send a jar of pickles and a letter from the police along with a copy of the game, but because there are genuine sections of game that could have been so much more. 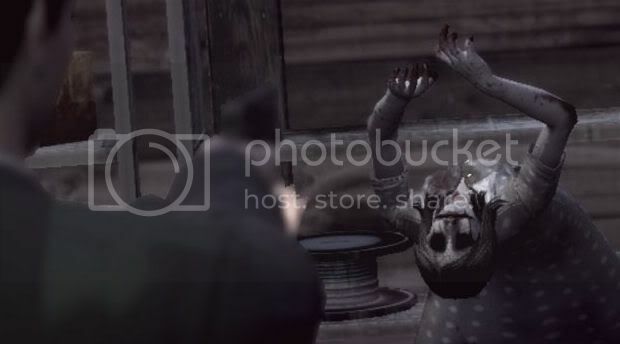 Deadly Premonition is a game that hides among pointless actions like shaving your face, shouting at old women and talking to yourself and sadly isn’t executed as well as it could have been. There are some genuine spooky moments but they’re ruined by the laughable dialogue, ugly graphics and boring gameplay. If this was released as a paint-by-numbers shooter as opposed to a free-roaming mess then this could have been playable. I don’t seriously recommend this to anyone. It could be seen as “The Room” of gaming, so if you have that sort of morbid curiosity then go ahead and buy it, the price tag is more than acceptable for a video game. This game is truly a horror to survive. I absolutely loved the conversation about the poor extra features on DVDs of films from the 1980s. 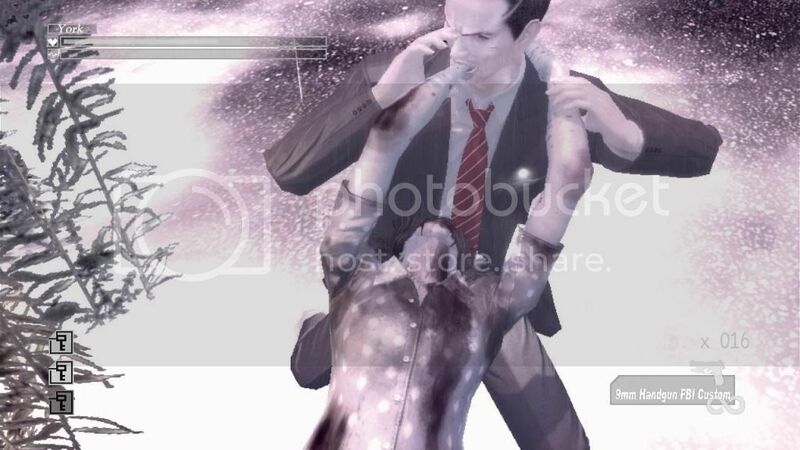 I'm quite liking Deadly Premonition overall. It just keeps pulling me back to it, despite it's many shortcomings. in the lumbermill place? Or are there worse ones to come? I'm only on chapter 12. I'm not finding the poor visuals to be that distracting, I've actually become quite used to them. The odd voice acting (including parts where they've obviously had to fill in bits that they didn't record audio for or have just left the test voices in and forgot to record them again when they have the main voice actors in), animation and graphics just add to the quirky charm I think and if they were at a normal 360 level the game would lose it's charm and just become a poor game. to get the radio from George Woodman via his evening quest from 1-2 onwards, which really helps as you can fast travel to places you have visited since getting it and some before. Getting York's car repaired via the Junkyard quests is also quite a good idea as it's faster and it's condition doesn't degrade, though the handling is even worse than normal. Also, the wrench from the Quint/Becky quest(s) is a good weapon that kills most enemies in one hit and never degrades. The magnum from the bones quest (after collecting all of the bones before you start the quest) via Forrest Kasen is good too. I'd definitely recommend people at least try the game. Yeah the chase you were on about. There's another one though. 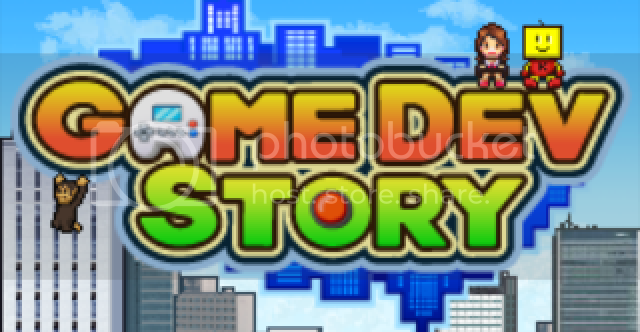 Another review, this time of a really fun little iPod game called Game Dev Story. The iPhone/iPod Touch is possibly the most underrated gaming system of this generation. Whether you want to throw birds at towers of pigs, cut rope (a lot more thrilling than it sounds) or sink hours into an RPG, the iPod has it all. Sadly mixed in with all these quality games is a burdening pile of rubbish which smacks you across the face like a comedy fish every time you log into the App Store. To of course be followed by. I'm playing Uncharted 2 on the PS3 and Reckless Racing on my Android phone. Has anyone played 9 Hours 9 Persons 9 Doors for the DS? Oh my, it's a great game with a cracking Lost esque storyline and 6 different endings! For all you retro fans I'll be posting a huge Shadow of the Beast article this coming weekend. A look back at all 3 games, the impact they made and the possibility of a future remake or sequel. There's also an interview with Tim Wright, and some really stunning artwork. Just had a good session on that new fight night champion game. Now heres coming from someone who loved Fight Night Round 3 but hated Fight Night Round 4. But has been blown away by Fight Night Champion. Really impressed with how they removed the crap from the old one and put something simple in place but it works. Looking forward to giving it a good play session later. Really? I struggled with Fight Night Round 4, particularly with the countering system, but played the demo of Champions, and it seemed worse, too fast with little time to chose your punch placement or take advantage of any mistakes from your opponent? I enjoyed the slower more measured pace of Round 3, or maybe my reflexes are slowing down? Ulp. What are the specific improvements in Champion in your opinion? Currently playing Kirby's Epic Yarn in the Wii. It seems good so far. Just finished the criminally underappreciated de Blob 2. The sales figures for that game are far lower than they should be. Currently playing the Lego Star Wars Complete Collection on 360. Completed episodes 1-3 now I just need to finish 4-6 before going back for all the collectibles. Just a small article I did recently. Some of you may be interested. I got my 3DS in the post today...... but unfortunately won't have any games (well Pro Evo) until tomorrow. Despite this i've had a play with the camera and the camera based mini game. The 3D is great, i'm really impressed. Takes a little to get used to but seems perfect. Can't wait to play on it properly!